Unless otherwise stated all pictures on this page have been scanned from engravings, postcards and other publications in our own collection. All rights of reproduction reserved. 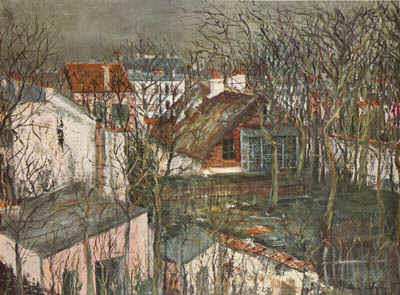 Berlioz and Harriet Smithson lived in Montmartre from 1834 to 1836; at the time Montmartre was not part of Paris, but a separate village. This reproduction is from our own collection. 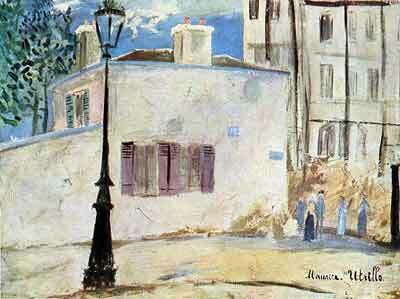 Berlioz’s house is in the lower left corner of the painting. 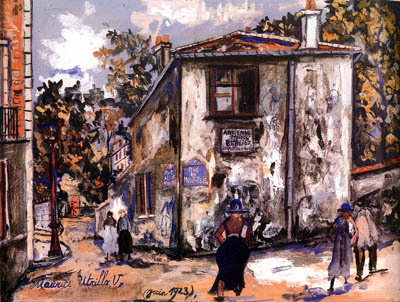 A reproduction of this painting is in our own collection. 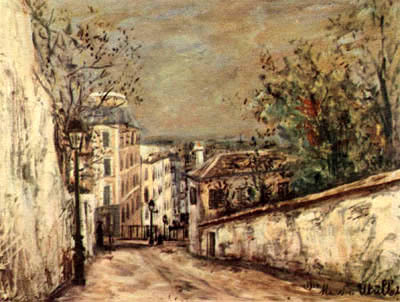 Berlioz’s house is at the end of the wall on the right. The above is a reproduction of a painting on a postcard in our collection. The original of this unsigned painting (gouache on thick and cream paper) is in our own collection. 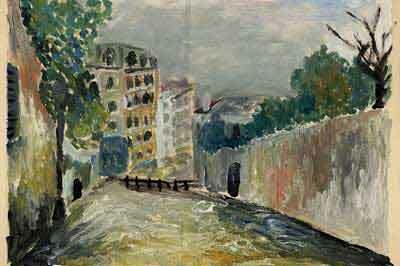 It is an imitation of Utrillo’s painting. We are most grateful to our friend Fumie Sakurai for sending us a printed reproduction of this painting. © (unless otherwise stated) Monir Tayeb and Michel Austin. All rights of reproduction reserved.